Exotic and Unique Flavoured Pineapple Tarts To Try This Chinese New Year! 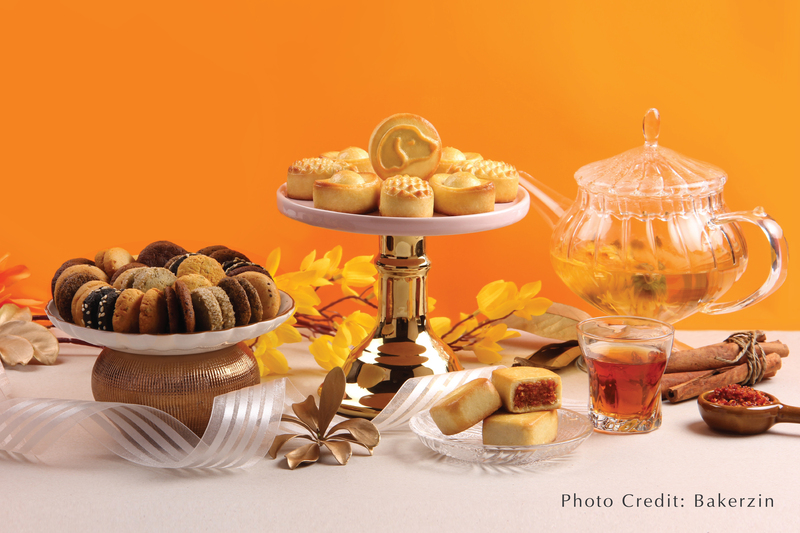 ALways have an exquisite taste for Chinese New Year goodies? Always looking out for something new? Wait no more! Bakerzin has an abundance of treasure all line up just for you. From 2nd January to 15 February, Bakerzin members are entitled to 8% off all ala carte and festive bundle deals, and POSB/DBS card holders are entitled to 15% off all ala carte items. *Discount is not valid in conjunction with other promotions, offers and/or credit cards or Bakerzin members’ discount. 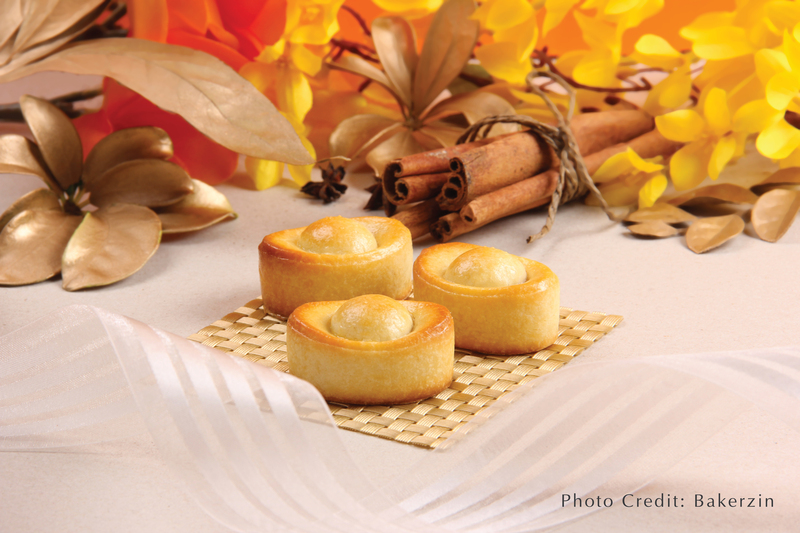 Pineapple Tarts are enjoyed by many during the Lunar New Year to signify prosperity and abundance. 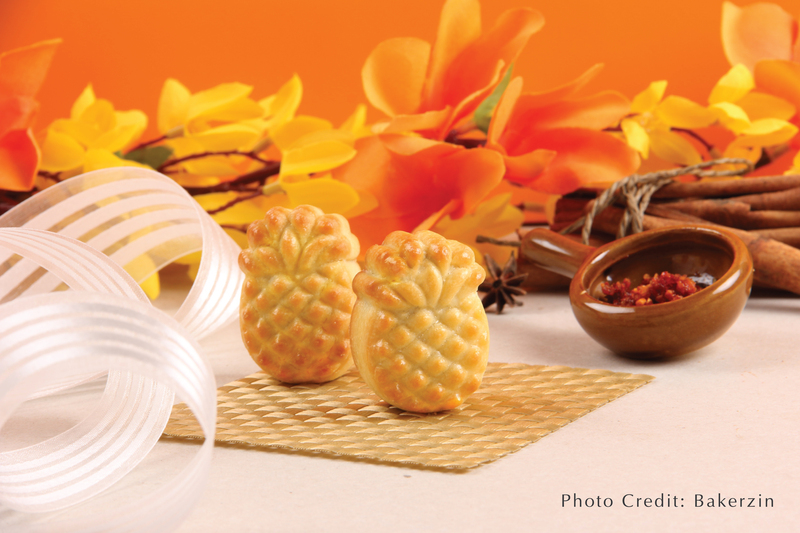 This year, Bakerzin will be bringing pineapple tarts with exotic flavours such as XO, Chrysanthemum, and Hae Bee Hiam (Spicy Dried Shrimp Sambal). This is one offer you wouldn’t want to miss out on! The classic favourite (Original Flavour) is the one that everyone loves. The premium buttery tones with pineapple jam from each bite leave you wanting more. Mold in a shape of an ingot, this represents good wealth and fortune which all households will want to get their hands on. Ever wanted how it would taste like when you put both liquor and pineapple tart together? 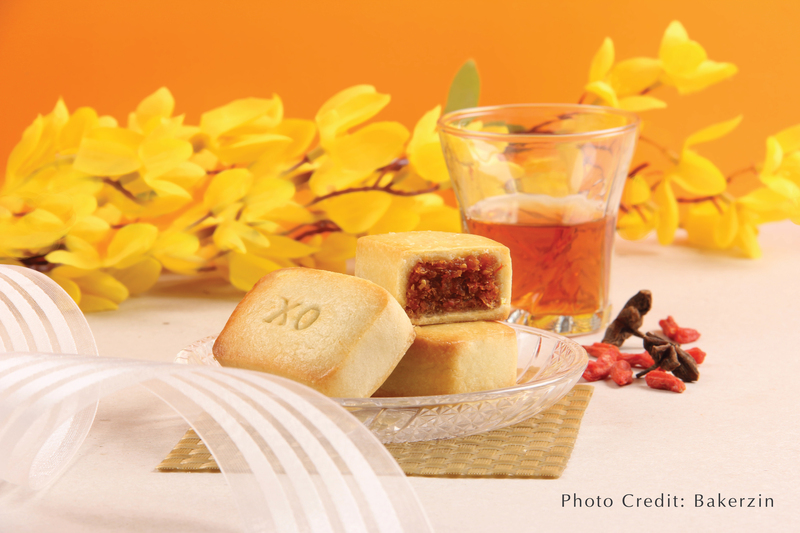 Introducing XO Golden Pillow Pineapple Tart, its used with premium XO liquor where the pineapple fibres and wolfberries are pre-soaked for up to a month to bring out the essence of the delicacy. A perfect concoction of XO with Wolfberries, this premium delicacy is in a class of its own, giving this impeccable collection a must have this year. Only limited to 500 boxes only. Get it while stocks last. On this festive season, Chrysanthemum of often sees as a packet drink served to guests during house visits. Bakerzin has now brought this quintessential beverage in a form of a snack. Using the core essence of the floral scent combined with the homogenous pineapple jam, each bite is redolent with the fragrance of the chrysanthemum. One of the most looks forward snacks in every household visits. A modern fusion of sweet and savoury, this delicacy is the snack that will keep you munching. The blend of sweet and savoury is simply divine as the pineapple filling harmonizes perfectly with the hae bee hiam, giving a subtle hint of spiciness and a well-balanced of sweetness from within. Not many have done this but Bakerzin has made a daring move by introducing this power-packed snack to push boundaries in the world of Chinese New Year goodies. 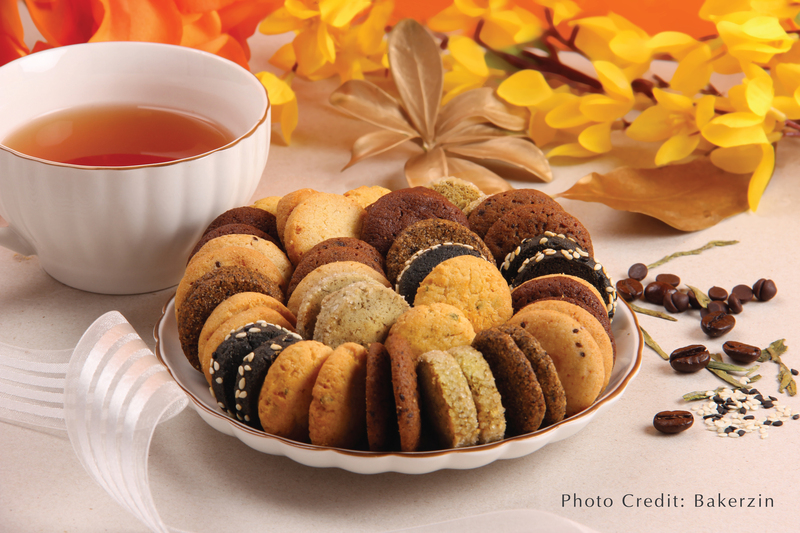 Cookies symbolize a sweet beginning to a new year and everyone loves it. Especially children. FLavours range from Long Jing Tea, Coconut Chia Seed, Cereal Salted Egg Yolk, Orange, Charcoal Black Sesame, Chocolate, Coffee to Thai Milk Tea. Bakerzin’s Lunar New Year yummilicious goodies are up for grabs from 2nd January 2018 at all Bakerzin outlets and online. 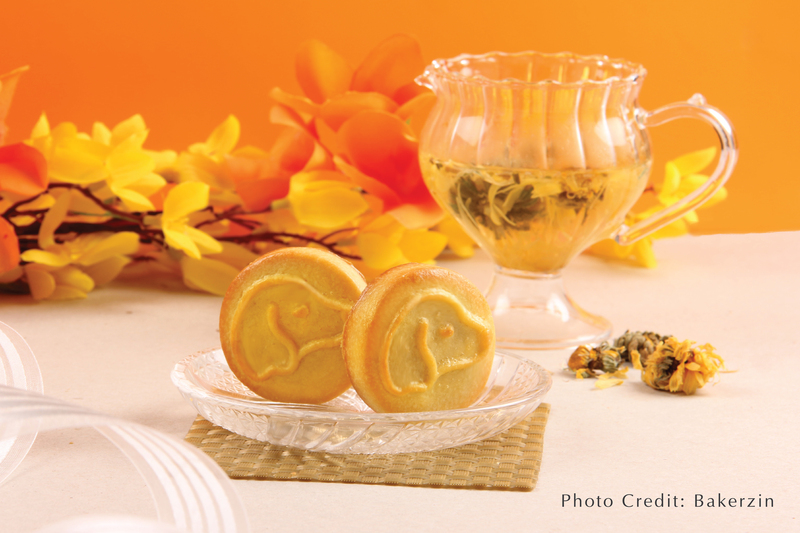 Assorted Pineapple Tarts (Chrysanthemum, Hae Bee Hiam and Original at $23.80/Tin (18pcs, 6pcs/flavour).